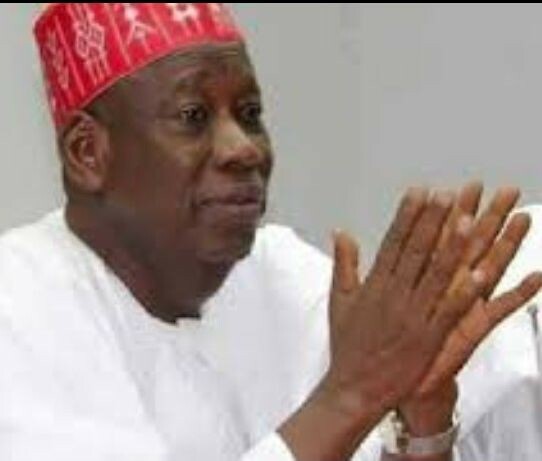 Group, National Association of Progressive Minded Nigerians (NAPMIN) on Tuesday called on Kano State Governor, Abdullahi Ganduje to shun what the group described as ongoing ‘smear’ campaign against him and focus on governance in the interest of Kano people. (Publicity Secretary) and made available to the media. The group continued, “when we saw the purported video showing the governor allegedly receiving money from unknown persons, we engaged the services of experts to watch, scrutinize and analyze the videos. After days of scrutiny, the report we received from the experts was that the said video is nothing but a doctored material that was made for the purpose of tarnishing the image of Gov. Abdullahi Ganduje. “It is very unfortunate that people can go to this length just to damage the image of another person. It is evidently clear that, the said video is the handiwork of political enemies who are not comfortable with the giant strides Gov Ganduje is making. “These political detractors are being paranoid. As a result, they are panicky and therefore resorting to all forms of evil deeds just to bring down the indefatigable Governor. “As progressive minded people, we are duty bound to make sure that these people who want to be a clog in the progressive wheel of Kano state do not succeed. We must ensure that our people are well sensitized and enlightened so as to easily identify these enemies of progress when ever they come up with their dastardly acts of mischief. “Consequently, we call on the good people of Kano state and Nigerians at-large to disregard the said video and continue lending their support to Gov Abdullah Ganduje. They should not allow detractors have their way.